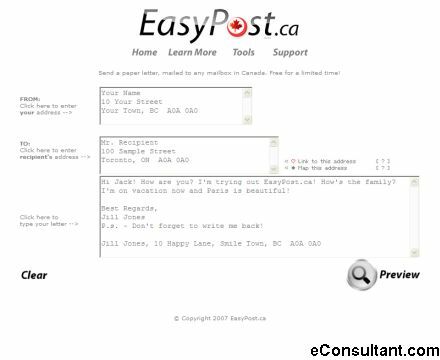 Description : EasyPost allows you to send regular paper letter mail to any mailbox in Canada, through this one simple page. An EasyPost letter contains the following: – 1 Page letter (or more if you buy more) printed in black on white. – 1 Envelope and postage stamp. For a limited time EastPost is free, anywhere in Canada.